The domain directs to an interactive Facebook page which integrates the most valuable and respected Holocaust resources including Yad Vashem, World Jewish Congress, the US Holocaust Museum, the Anne Frank Center, the Israel Defense Forces and the Simon Wiesenthal Center. 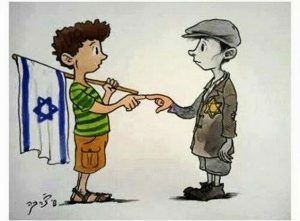 Holocaust is a word of Greek origin meaning “sacrifice by fire.” The Nazis, who came to power in Germany in January 1933, believed that Germans were “racially superior” and that the Jews, deemed “inferior,” were an alien threat to the so-called German racial community. Nazi Dr. Fritz Klein, center, who selected prisoners to be sent to the gas chamber at Bergen-Belsen concentration camp in Germany, was forced to move bodies to a mass grave after the camp was liberated by the British in April, 1945. Klein was later tried and hanged. In 1933, the Jewish population of Europe stood at over nine million. Most European Jews lived in countries that Nazi Germany would occupy or influence during World War II. 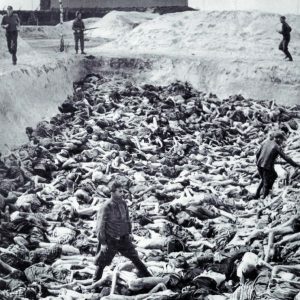 By 1945, the Germans and their collaborators murdered two out of every three European Jews as part of the “Final Solution,” the Nazi policy to murder the Jews of Europe. The United Nations General Assembly designated January 27 – the anniversary of the liberation of the Nazi death camp Auschwitz-Birkenau—as International Holocaust Remembrance Day. 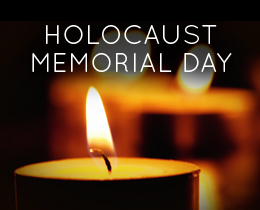 On this annual day of commemoration, the UN urges every member state to honor the six million Jewish victims of the Holocaust and millions of other victims of Nazism and to develop educational programs to help prevent future genocides.